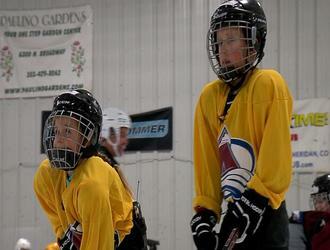 Six-year-old Logan and 4-year-old Zoe Galloway are budding hockey players. While it’s not uncommon for people to begin skating at a young age, what makes these two children unique is the fact that they are visually impaired. Unfortunately, both children are going blind from an extremely rare form of eye disease, Leber congenital amaurosis. SDCB has several programs that can help you or a loved one. Please contact us to learn more about how we can be of assistance.